Nuova inserzioneFender Princeton Reverb Amp Combo tubi come nuovo-perfettamente poco. Fender Princeton Reverb Amp in technisch wie optisch einwandfreien Zustand von Nichtraucher. Enthalten ist ein Netzkabel, Dustcover und der Fussschalter. Hier handelt es sich um einen coolen Nachbau eines Princeton Brownface Modells. Der Amp hat 2 12AX7, 2 EL84 und eine EZ81 Gleichrichterröhre. Es ist auch noch der 12" Eminence Lautsprecher aus dem Jahr 1984 dieses Fender Leads eingebaut. Der Amp hat keinerlei Schäden und funktioniert perfekt. Tube Driven Spring Reverb. Tube Vibrato. 68er Silverface-Optik. 1 x 10' Celestion TEN 30 Speaker. 12 Watt an 8 Ohm. Er kann schön clean, aber auch wundervoll angezerrt,eine tolle Soundmischung aus Tweed und Blackface Sound, und dann noch mit Tremolo. trägt allein der Käufer das Risiko nach § 447 BGB. Biete einen seltenen ca. 1950 Fender Princeton Tweed Amp zum Verkauf. Zustand: Gebraucht, siehe Fotos. Der Verstärker wurde technisch überholt und ist voll funktionsfähig. Interessenten haben die Möglichkeit den Verstärker bei mir vor Ort zu testen !! FENDER PRINCETON CHORUS AMP Fender Princeton Chorus Specifications. • Chorus - Analogue / MN3101 (BBD) (switched). Footswitch for Overdrive and Chorus. • INPUT 2 - 131k Ohm. Bass, Mid, Treble. Mono Effects Loop. Zusatzboxenanschluss: zwei 1/4" Parallel. Mit einer Vorderseite in Silver und Turquoise und der klassischen „Drip Edge“ Aluminium-Frontbespannung präsentiert sich der Princeton Reverb mit einem neuen Gesicht, bleibt aber weiterhin der perfekte Amp für Tonstudio und Bühne. Ich verkaufe hier einen Fußschalter von einem Fender Prosonic Amp, den ich gerade ausschlachte. Es handelt sich um einen ganz "normalen" Doppelfußschalter mit Stereo-Klinken-Stecker. Es wird entweder die Spitze oder der Ring des Klinkensteckers mit der Masse verbunden. Per la vendita: Un nuovo Carling 112-63 Toggle Switch. SPDT, 2 posizioni Sostituzione dell'interruttore Ground Fender. Alette di saldatura. Amplifier Type Princeton Rev, Deluxe Rev, Twin Rev. Assicurarsi di aggiungere al tuoelenco preferiti ! Questo pannello è 18-1/4". Il 17-1/4' Princeton Amp (non-riverbero) è disponibile anche in un altro profilo. Questo pannello è fatto dai migliori 5 strati, grado di Cabinet, 1/4" betulla del Baltico compensato per forza e rettilineità. Product Type Footswitch. Utilizzato per accendere / spegnere il Vibrato (o ponte Tremolo, secondo i casi) e riverbero. Cromo Interruttore a pedale con crudo spine RCA. Model 2 Button. Assicurarsi di aggiungere al tuoelenco preferiti ! Per la vendita: Un nuovo Carling 110-P interruttore a pedale. Alette di saldatura. Amplifier Type Princeton Rev, Deluxe Rev, Twin Rev. fine della vendita. solo negli Stati Uniti continentali. Assicurarsi di aggiungere al tuoelenco preferiti ! Amplifier Type Fender. Vendita: Uno nuovo paio di cuoio Amp gestire capezzali con tramite viti parafango e altri amplificatori. fine della vendita. The Fender Princeton Chorus amplifier presents the player with a great value of an amplifier in its price class. The Princeton Chorus is much more than a portable Gain Switching Amplifier. Guitar Amplification. Great sounding, all original, 1975 Fender Princeton Reverb. The amp has that nice break up right around 5 on the volume that everyone loves. There is some scuffs and scratches but nothing major. There is a once inch area on the tolex that looks like it got scratched. I found this amplifier at a garage sale in the 1980's with this cover and it is all original except for the speaker, and the power chord. GE preamp grey plate tube, output tube is Westinghouse 6v6 GTA. Based on AA1164 Blackface circuit with reverb and tremolo. Princeton Reverb style 1x12 combo amplifier. • Fender style tolex covering and Fender style grill cloth. • Fender style jewel pilot lamp (optional colors available). Clear 1964 Fender Princeton amp new 110v to 220v converter. Very good condition. 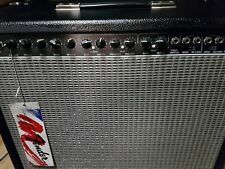 Cool and clean 1976 Fender Princeton Silverface non-reverb 1x10 combo amplifier. The original Fender blue label speaker is coded 465633 dating to the 33rd week of 1976. Sounds and functions great! 1976 Fender Princeton Amp. Reverb, Foot Switch Input, Preamp Output, Power Amp Input, Headphone Input. Gordon LaSalle Music. Southbridge, MA 01550. East Hartford, CT 06108. (1) 1965 Fender PRINCETON AMPLIFIER. 1965 FENDER PRINCETON. GUITAR AMPLIFIER. By putting our best foot forward, we work hard to serve your musical wants/needs. in EXCEPTIONALLY FINE CONDITION! EXCEPTIONALLY FINE CONDITION. Reverb: Yes. Footswitch I/O: 1 x 1/4" (reverb, vibrato). Type: Tube. Height: 16". Speaker Size: 1 x 10". Power Tubes: 2 x 6V6. Footswitch Included: Yes, 2-button footswitch. Preamp Tubes: 3 x 12AX7, 1 x 12AT7. The hand-wired ’62 Princeton Chris Stapleton Edition combines the classic 6G2 circuit with Stapleton’s favorite features and personally chosen aesthetic touches. Hello, for sale is a new Fender Chris Stapleton Signature '62 Princeton 1x12" 12-Watt Guitar Amp. The speaker is not original but has been replaced with a 1x10 Rain Cajun speaker. This amp looks and sounds great. If you're ever passing through Northwest Florida, be sure to stop by and say hello! This is a 1964 Fender Princeton Reverb. All in all, this is a very solid and mostly original 1964 Fender Princeton Reverb.It's one of the good ones. The Jensen C10R speaker that has been installed is really pleasant sounding and the amp REALLY sounds nice. The item is exactly as described. We want you to be happy if there are any concerns let us know. This is a 1967 Fender Princeton Reverb Amplifier. The amp itself sounds great and works exactly as it should. As it sits now, the bias is set a little hot and has thing sounding really aggressive, in a good way! The hand-wired ’62 Princeton Chris Stapleton Edition combines the classic 6G2 circuit with Stapleton’s favorite features and personally chosen aesthetic touches. Includes 1-button switch for tremolo and retro-styled Filson™ Rugged Twill fabric cover. With its 2x10" speakers and it's built in chorus, this amp will even rival the vaunted Roland JC120. at an even better and achievable price point ! What is really surprising about this amp is the overdrive channel. This tank fits Fender Tube Amplifier Twin Deluxe Pro Princeton and many other Fender Tube Amplifiers. Black · Face Vintage Amplifier Made in 1965 [Serial No.] A 069 ** With a glittery and glossy clean tone, It was loved by musicians all over the world It is a guitar combo amp. Stereo 2 x 25 watt amplifier. 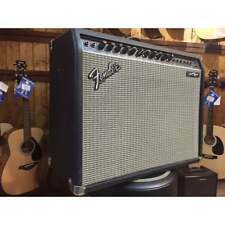 Fender Princeton Chorus Guitar Combo Amp Model PR 82 USA. Fender Limited Edition '65 Princeton Reverb "Buckingham Green"
EMS 2-3weeks arrive! FREE Trial! ARIGATO GOZAIMASU! Japanese products, I can help you! From Hiroshima, Far east island Japan! FREE Trial! ARIGATO GOZAIMASU! Japanese products, I can help you! From Hiroshima, Far east island Japan! ARIGATO GOZAIMASU! Japanese products, I can help you! From Hiroshima, Far east island Japan! If you need ASAP!